Equinox Travel was established in 1996, to design tours and guide the visitors through the rich cultures and sites of Anatolia. We aim to give our guests a different point of view of Turkey with our experienced guiding, planning and operation team. Equinox Travel is a renowned travel company for distinctive cultural and archaeological tours in Turkey. Our itineraries are well designed for independent travellers or small groups who are looking for the ultimate personalized experiences. Equinox specializes on archaeological and cultural trips, special active or relaxing blue voyages on the local “gulets” and also single-day or multi-day 4x4 tours. Our experienced operational team ensures that the organization runs in the smoothest possible way by taking note of even the smallest detail. What is important for us is that our guests are happy and that they enjoy every moment that they spend with us. 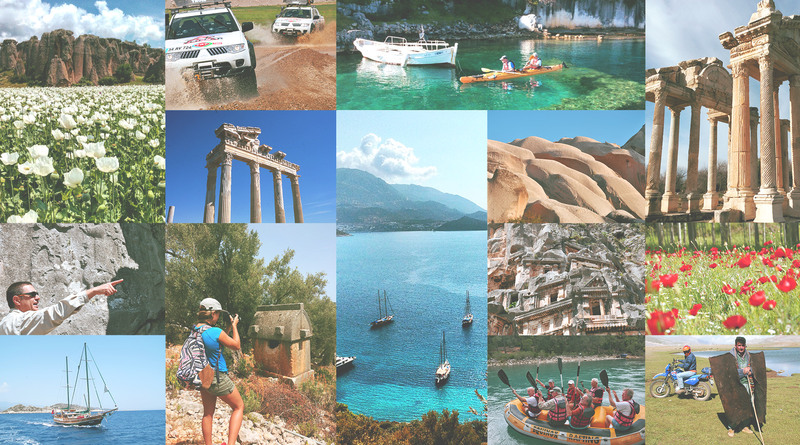 Whether you want to join one of our pre-designated tours or whether you have your own group and precise dates, if you love adventures, archaeology and the nature, you will love travelling with us. Equinox Travel supports and gives consultation to the TV programs Zor Yollar on TRT TURK and Her Yerde Bir Haber Var and Yeşil Doğa on CNN TURK. Click to see our presentation document.